How to: use the Support Guide on Hi5. We've conveniently put together a Support Guide for you to refer back to if you get stuck! Need to see your Welcome Guide again? Want to change some settings using the easy Setup Guide, or just want to read some great help articles or chat to one of our Hi5 Heroes? You can find everything you need to know about Hi5 in the Support Guide! Access the Support Guide by clicking on the Support tab. Welcome Guide - this is a step-by-step introduction to using Hi5, with links to relevant help articles to get you started. Setup Guide (Admins only) - this is a quick way to change settings like what you measure (Appreciation, Culture or Goals), the frequency & transparency of ratings, as well as being able to invite a couple of users. 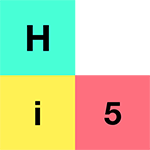 Knowledge Base - this is your go-to for help in using all the features of Hi5, including mobile app features. Contact Support - will automatically open your email software so you can send a mail to us at help@get5.io if you need to ask an unanswered question (or just want to say Hi 👋).